This entry was posted in Rescued Dog by admin. Bookmark the permalink. Have a lovely week and hope it isn’t too burdened by work. Cookery for humans and pet can be such a creative thing. Making sure our pets eat good stuff is so important. I am with you about all the recalls. I’ve been sharing so many that it really leaves me with an uneasy feeling about them all. My dogs’ food company did actually address this by coming out with a notice that says it does not affect their food at all, which I was happy to see. Still, I do cook up a good portion of their food and add in veggies and pumpkin. I know Layla is going to love her momma’s home cooking! Thanks for joining in our Flashback Friday Blog Hop, too! 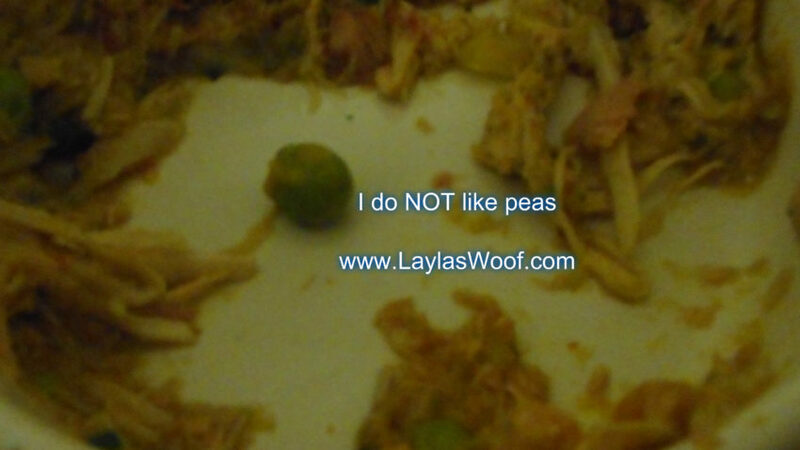 Layla, I don’t like peas either! Lucky you to have a mom who cares about you so much she makes your food herself. That’s so much better than commercial dog food, even Grandma Lucy’s. Wow, I wonder if Ruby would like that smoothie! We occasionally cook for Ruby, wish there were more hours in the day to do it more often. I cook once a week by putting a chicken in the slow cooker, cooling it and then chopping up and adding the smoothie so it does not take that much time plus I freeze in portions. How cool you are a trained cook! Our mom doesn’t cook that great. 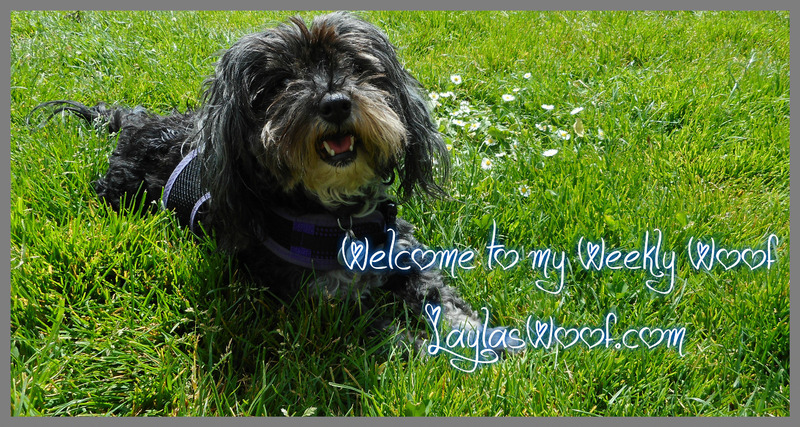 LOL We agree with Laya – she should have more treats! Happy Weekend, friends! Happy Weekend to you too Lola, and yes I studied cooking as I love being in the kitchen, it relaxes me so turned a hobby into something more. I’m always so impressed at how you whip up delicious healthy food & treats – nowvI understand, you are trained in culinary arts! That smoothie sounds amazing, a masterpiece! Layla is so lucky. I just boil chicken with carrots & sweet potatoes…..when I’m feeling ambitious. We’ve been trying to walk earlier to avoid cutting walks short. Looking forward to when the days get longer again! I’ve done some home cooking for Mr. N but only as part of meals. Layla you have such a good mommy! It’s good to know she’s doing well with adjusting to a diet including home cooked meals. Great job mom! Keep your baby healthy for the long haul. Stay blessed and Happy Holidays! Your mommy takes very good care of you. We already have about two feet of snow here. 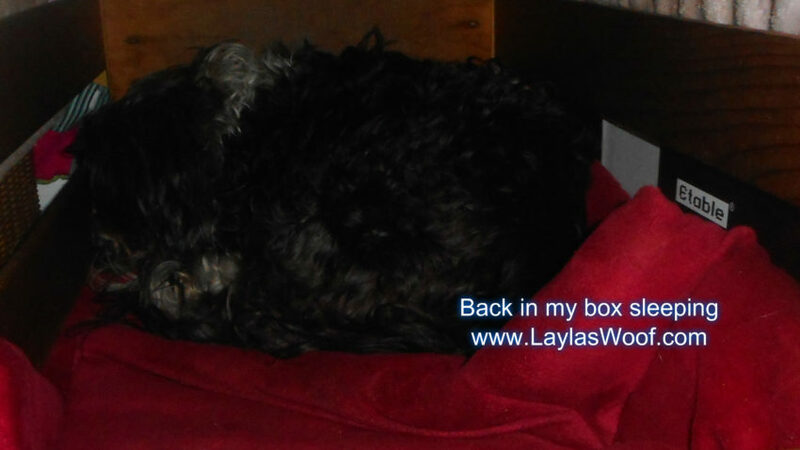 I’ve always known that Layla is a very lucky dog. I’m surprised she likes Brussel Sprouts, but not peas. I hope the weather surprises you with some days nice enough to go to the park! Layla has such a good momma! I think I’m coming over, those smoothies sound yummy. I am such a foodie and sure do like to bake and cook more in the colder weather, and of course, that in turn puts some more insulation on me that I’ll have to work at in the spring! LOL! Happy cooking! Thanks and cannot wait to hear what you have made. I also love cooking more in the winter as it is cold and we are stuck inside. Happy Cooking to you too ! I love the idea of the smoothies. I’d been wondering what winter treats to give my pups. Great ideas!! Thank you and it is a great way to hide the veggies for picky eaters LOL. I hate the dreary months of Winter. Give me sunshine and warmth any day. 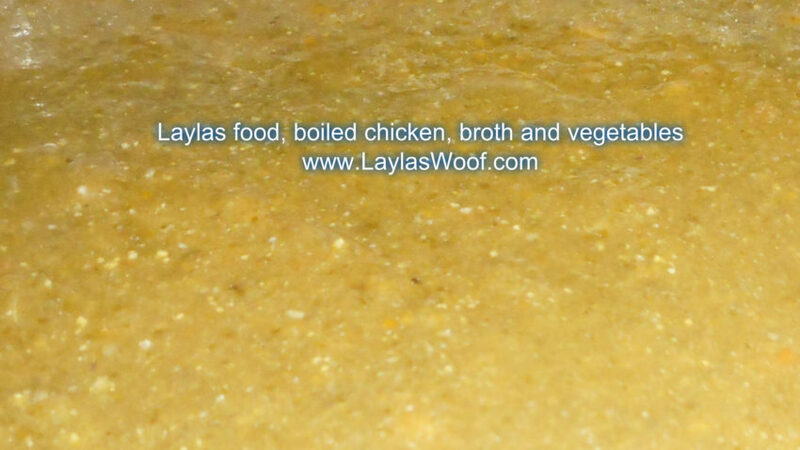 Good luck with home cooking for Layla. I don’t even cook for myself right now, much less the girls.